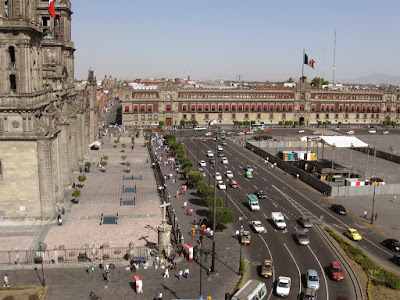 Photo Ranch: Zocalo, (Central Plaza) Mexico City. Cathedral is to left. Zocalo, (Central Plaza) Mexico City. Cathedral is to left.